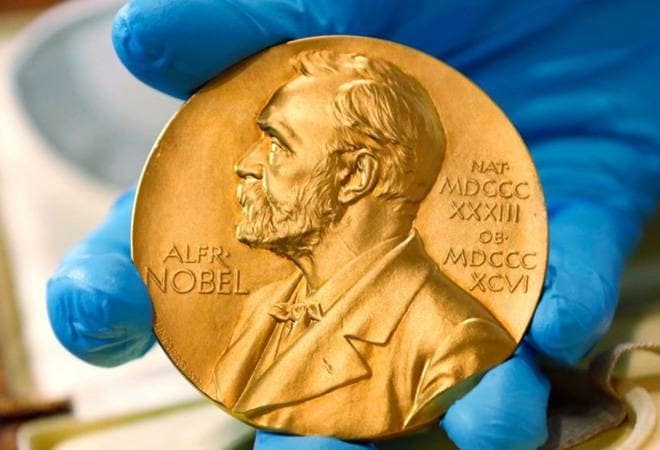 Nobel Prize winners in Chemistry could have equally won the prize for Physics, Physiology or Medicine, and those in Physics could have also been considered for prizes in Medicine or Chemistry. But, as the list of winners of the different Nobels for Physics and Chemistry show, it might be better for the Nobel Prize Committee to actually consider giving prizes for the sciences in general, instead of segregating them into Physics and Chemistry prizes and not having a biology prize. Consider the winners of this year's Nobels for Physics and Chemistry for example. Frances Arnold, who won half the Nobel in chemistry this year, is known for her work on directed evolution of enzymes. Enzymes are proteins which speed up chemical reactions. And a lot of her work has benefits in life sciences, apart from applications in biofuels, and dozens of other applications. A biochemist by training, Frances Arnold's research is actually multi dimensional - and her work has major applications in synthetic biology. Meanwhile, the other two winners in chemistry - Greg Winter and George P Smith - who will share the other half of the Nobel Prize in Chemistry, has been chosen because of their research on phage displays of peptides and antibodies. A phage is a virus that is engineered to infect bacteria and take control of the latter's systems, sometimes killing the bacteria in the bargain. Bacteriophages are of immense importance because they hold the promise of tackling bacterial infections that do not respond to antibiotics. More importantly, Winter and Smith worked separately but in the same area. Smith pioneered a method known as phage display that allows researchers to find other molecules that interact with the protein on the phage. Winter improved this technology to create applications for dealing with toxins and even find potential ways to tackling auto immune diseases. If there were a Nobel Prize for Biology, all three would have been contenders. Even otherwise, Smith and Winter's work fall squarely in the realm of the future of medicine and they could equally have won in the area of physiology or medicine. Now let us turn to this year's winners of the Physics Nobels. All three are "laser" scientists, but of a different kind. Arthur Ashkin, who will get half the prize, is famous for his work on "optical tweezers" - a technology using beams of light to take control of extremely small things like cells or viruses. Strickland and Mourou pioneered a way of producing extremely short, very intense pulses of light - which, apart from other applications, is used for laser eye surgery. Again, either of the three could have won the Prize for Physiology or Medicine. The website of the Nobel Prize points out that many of the people who have won the prize for Chemistry could equally have won the Prize for physics as well. And a lot of winners have also worked in the border of chemistry and biology, like the winners this year. In 1907, Eduard Buchner won a Nobel in chemistry for his work on cell free fermentation. Some other winners of the Nobel in Chemistry have also been nominated for Physics as well as Physiology or Medicine. Some physicists, in turn, have worked essentially on areas that could be called more chemistry or more in the realm of future medicine. The Nobel Committee had the foresight to realise early on that at the highest levels, the borders between the different sciences blur - and the choices over the years have pretty well shown how prescient they were in making sure iron tight categorisation did not kill the three science Nobels.